Since 1978, Getz Healthcare (Hong Kong) Ltd has been providing qualified, experienced people and professional services for a wide range of product lines. Getz Healthcare (Hong Kong) Ltd is working in numerous healthcare areas, including Interventional Cardiology, Radiology, Infection Control, Pulmonology, Minimally Invasive Surgery and Vascular Surgery. Getz Healthcare (Hong Kong) Ltd will provide any manufacturer the kind of complete coverage that cannot be duplicated by others and not done by the manufacturer unless millions of dollars are spent to do so. We are and will be covering many areas of medical practice with quality products from world class manufacturers, serving our customers with first class and value added service. 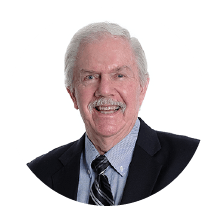 Paul D Rieff has over 47 years of in-depth experience in the medical device industry in Asia. He is the co-founder of Asia Cardiovascular Products Ltd, set up in 1978 which was sold to Getz Corporation in 1994. Born and educated in the USA, Paul has lived in Asia for 50 years. Paul has a Bachelor of Science in Anatomy and Physiology with a Minor in History, and a Masters of Science in Hospital Administration from the U of M.
He was Area Director of Asian Operation for Medtronic from 1971 to 1975. He was VP for Worldwide Sales at Medical Inc (Heart Valves) and VP of Genetic Labs. He served in Vietnam during the war from 1967 -1971.